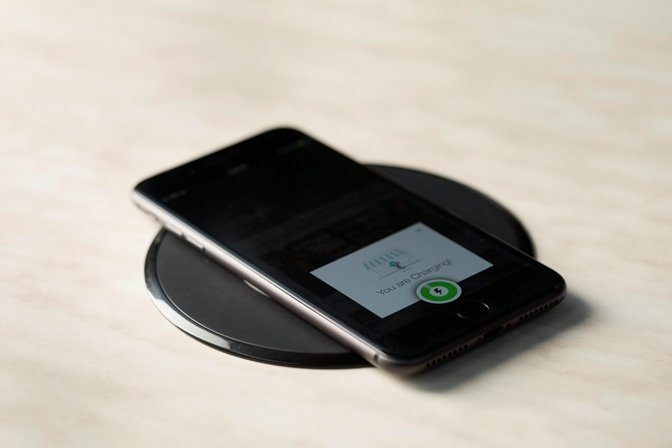 SAN FRANCISCO, January 4, 2018— Signaling a new era in wireless charging, Powermat today is excited to release Charging Spot 4.0 powered by SmartInductive technology, a groundbreaking new platform that can wirelessly charge virtually any device, on almost any surface with no drilling required. Eliminating barriers that have hindered the industry for over a decade, Powermat’s SmartInductive technology is compatible with all wireless standards, including Qi, AFA inductive, Apple 7.5W and other fast charging capabilities. And since it supports 0-40W on a single platform, consumers can power up more types of devices than ever before, from mobile phones, to tablets, wearables and even laptops. SmartInductive technology is a new way to enjoy all the benefits of inductive charging with all the capabilities of long range charging technologies. The first product powered by this technology is Charging Spot 4.0. Poised to unlock the full potential of wireless charging in public venues, Charging Spot 4.0 can be quickly installed with no drilling required, making it easy and affordable for businesses to transform everyday surfaces into wireless charging stations— with no cords, unsightly hardware or drill holes. Best of all, Powermat Charging Spots are future-proof, so businesses can be confident they will work today and in the future with new smartphones, tablets and laptops being added all the time. With a lower installation cost and powerful mobile customer engagement capabilities, Powermat’s Charging Spot 4.0 with SmartInductive technology is the new gold standard in wireless charging for businesses. After customers download the Powermat App to charge their device in-store, businesses can drive repeat sales and increased revenue by sending them customized offers, tailored content and special rewards via the app. Business owners considering wireless charging solutions should contact us at: https://www.powermat.com/contact/. Powermat is the wireless charging pioneer and leader, provider of the largest wireless charging network in the world, and the forefront of inductive wireless charging technology development. Supported by our market leader partners such as Starbucks, Samsung, General Motors & Flex, we can all live life at 100%. For more information, please visit www.powermat.com.